The new Russian air cargo operator Direct Avia, founded in December 2014 and owned by transportation and logistics specialist Aircargo+, expects to begin revenue flights this summer with two Tupolev Tu-204-100S freighters. The aircraft carry the registration numbers RA-64051 and RA-64051. They were both built in 2009, and were previously operated by recently bankrupted Transaero. Direct Avia’s CEO, Sergey Kukarev, says the company’s application for an air operator’s certificate is currently being considered by the Federal Air Transport Agency. In the meantime, the carrier is continuing the acceptance procedures for the two Tu-204-100S’s at Domodedovo Airport. Both aircraft were delivered by lessor Ilyushin Finance Co. (IFC) under a contract signed in January of this year. It is understood that the carrier will be able to buy them out after the initial lease deal expires. According to the OEM, the Tu-204-100S has a maximum payload capacity of 30 t.
Kukarev says there are three factors that will secure Direct Avia’s market success. First, the carrier will be based at Vnukovo Airport, where it will be working closely with the freight and mail center Vnukovo Cargo. The latter boasts of developed infrastructure, but has not been operating to its full capacity recently for a number of reasons. Finally, Direct Avia’s Tu-204s will be operated and maintained by ex-Transaero specialists, who have experienced with the type. The carrier has already hired around 50 personnel who were laid off when Transaero ceased operations in 2015. Kukarev says Direct Avia will operate both domestic and international scheduled and charter flights. 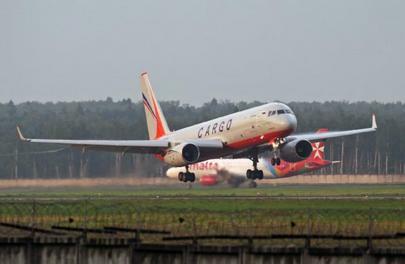 The airline already has firm contracts with Chinese partners for a large-scale program to organize air cargo services between the two countries. Under the contract with IFC, Direct Avia’s Tu-204s will each have to fly at least 150 hours per month, says Mikhail Trifonov, Aircargo+ deputy general director for engineering support. For the duration of the lease deal, MRO services on the type will be provided by the lessor’s engineering arm IFC-Technik with support from the engineering center of the Kazan Aircraft Production Association.